Styrofoam is considered the 5th largest source of hazardous waste in the US. Polystyrene, is a petroleum-based plastic known to most people as styrofoam. 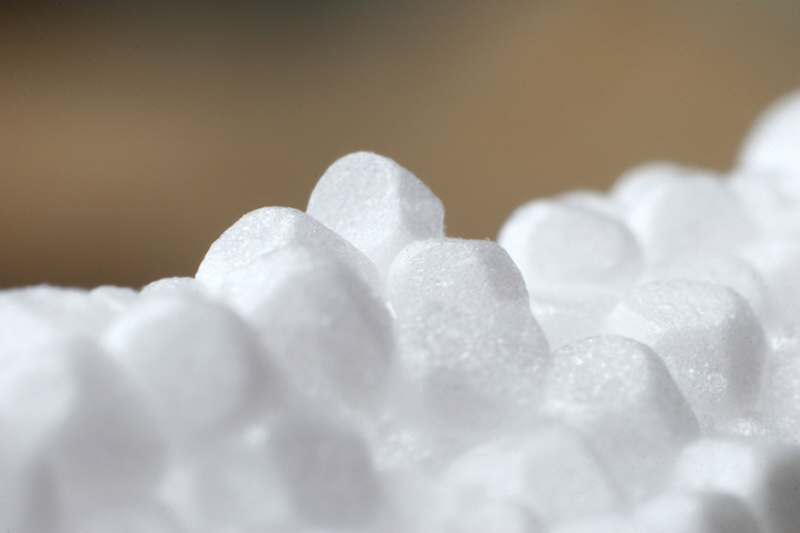 Polystyrene is used to manufacture many things such as plastic, resin, and rubber. The bad thing about polystyrene is that its main ingredient, styrene monomer, is associated with many environmental health concerns. Compostable products disintegrate into organic matter within 90 days. On the contrary, styrofoam seems to last forever. They are non-biodegradable and non-recyclable. 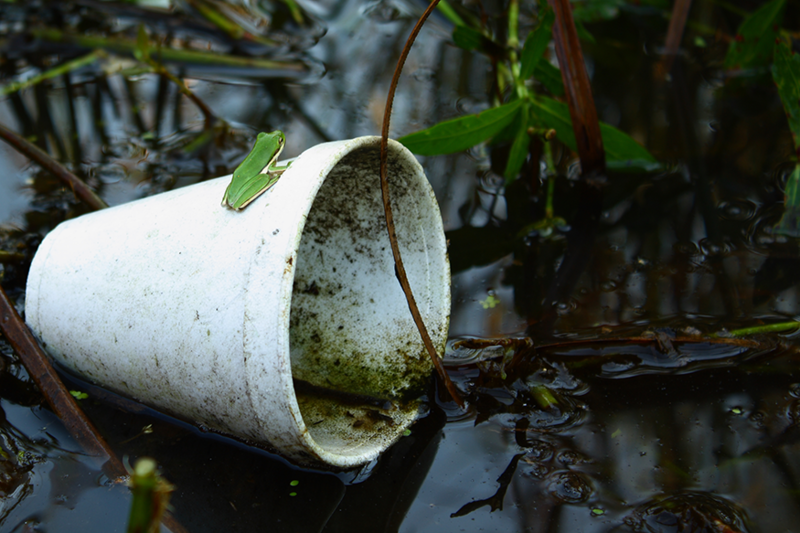 As a result, styrofoam contributes to the accumulation of polystyrene in waterways because it’s very light weight and easily floats in water. Nearly 80% of marine debris comes from land-based sources. (4) Most of the land-based debris is conveyed to oceans via urban runoff through storm drains. 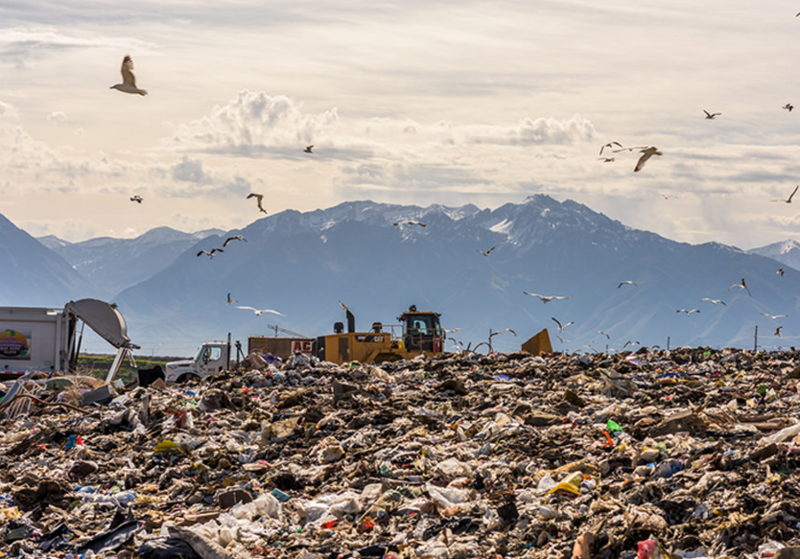 The main sources of plastic and other types of anthropogenic (human-made) debris in urban runoff include: litter (mostly bags, packaging and single-use disposable products), industrial discharges, garbage transportation, landfills, construction debris, and debris from commercial establishments and public venues. Styrofoam is manufactured using hydrofluorocarbons, known as HFCs, which have a negative impact on the ozone layer and contributes to global warming. Styrofoam is made with petroleum, which is a non-sustainable resource, during production it creates heavy pollution which is harmful for the environment. If polystyrene is burned on bonfires, there is a release of Carbon Monoxide and styrene monomers into the environment which is hazardous to our health. 1) C.J. Moore, S.L. Moore, M.K. Leecaster, and S.B. Weisberg, A Comparison of Plastic and Plankton in the North Pacific Central Gyre, Marine Pollution Bulletin, 13 February 2004. (2) Gregory, M.R., Ryan, P.G. 1997. Pelagic plastics and other seaborne persistent synthetic debris: a review of Southern Hemisphere perspectives.. In Coe, J.M., Rogers, D.B. (Eds. ), Marine Debris- Sources, Impacts, Solutions. Springer-Verlag, New York, pp.49-66. (4) Faris, J. and Hart, K., Seas of Debris: A Summary of the Third International Conference on Marine Debris, N.C. Sea Grant College Program and NOAA, 1994, title page. “Land-based Discharges of Human-made Debris Comprise the Largest Source of Marine Debris in Oceans World-wide (nearly 80%).” Plastic Debris Rivers to Sea Project. Web. 08 Mar. 2016. <http://www.plasticdebris.org/>.